Square is a point of sale (POS) company that specializes in streamlined technology and services. Since its founding in 2009, Square has expanded its technology to include helpful software and hardware, such as the free Square Point of Sale app, which allows companies to manage different aspects of the business, from inventory management to customer directories to digital receipts. Square’s hardware allows businesses to accept all major credit cards, NFC payments, and gift cards. Additionally, Square does not charge any monthly fees, unlike many other point of sale companies. Square offers a simple and clear fee structure whenever a card is used. For swiping, dipping (inserting the card into the reader), or tapping a card Square has a 2.75% flat rate regardless of the amount. For transactions where the consumer isn’t present, or the Square user is away from the reader, Square charges a 3.5% + $0.15 fee. These transactions are typically considered riskier by credit card companies since the customer is not present at the time the card is processed. For billing consumers through Square invoices or an eCommerce API, the fee is 2.9% + $0.30. Square has no hidden fees, so it is just the standard per payment processing fee. There are no fees associated with customers paying with cash or check since Square doesn’t process those forms of payment. Square POS offers a wide variety of options for those seeking POS services, and the features within those different options is equally impressive. Notable Square software features include the ability to send invoices; sell gift cards; get private customer feedback; create customer profiles; integrate with accounting, apps, and other point of sale services; and perform email marketing. Square POS prides itself on providing simple technology that is easy for both businesses and consumers to use. Square POS has many features for small business, comparable to the Shopify POS, there is bank account integration, inventory management, credit card (and debit card) payments for business owners, customer service for your square account. If you have a mobile device, there are additional features you can implement with a square card and magstripe card reader. This POS hardware is beneficial for mobile sale POS. There are even loyalty programs you can implement with this feature. You can check your money within the app on an dashboard, and there is additional hardware which includes a receipt printer. Square’s terms and conditions specify that the technology comes “as is”, and that if a business feels that Square’s services are not providing what they hoped, there is still no warranty. However, this is to be expected with many businesses. Although Square boasts many positives, complaints still remain. A common customer complaint is that Square may hold merchant funds. Because Square uses aggressive fraud prevention tactics, the technology raises a general red flag at times, which can make businesses unable to access their income for a period. This may be because Square does not disclose the risks involved in third-party processing. Companies experiencing this problem will receive a notification that a payment violated the terms of service or that the company model is unsupported or high-risk. Since its start in 2009, Square has grown to provide a wide variety of options for those seeking POS services. Its software is top-notch, especially for the price. Square’s services are accessible and helpful for all types of businesses, from startups to large companies, making it a competitive POS option. We used square for a time and it worked well. The pricing was fairly simple and easy to understand. I think its good for small businesses but larger business may benefit from a different platform because of the price structure. I did experience some account freezes because of suspected fraudulent activity. Easy to setup, simple to use, flexible and intelligent and exactly what we needed. Great product. Square is a very convenient service to use with customers for a low service fee. They continue to update their technology and provide additional services which has made me stay with them. There are a few issues trying to access customer service, which is my only request for improvement. I used square for a business I was starting and it worked well. The pricing was fairly simple and direct. I did experience some unnecessary account freezes because of suspected fraudulent activity. That was a little frustrating. I think its good for small businesses but larger business may benefit from a different platform price wise. I’ve use square for my business and it’s been great! It’s easy to use and so convenient. I haven’t had any problems with any transactions and my customers haven’t had any complaints either. Square is very competitive on prices and very reliable. The costs are way down and its great to have a better options then the bigger providers. I worked in a retail industry for a while and I can say that Square is the dream coming thru for people that works with cashiers it is modern and easy to use. Most of restaurants that I'm going to are using Square as a point of sales tool. From my experience it is fast and I never had problem with. SQUARE makes it easy. We received a POS card and knew exactly the costs for each transaction. We like it. I won't use a different POS service after using Square. Square gives me all the functions necessary for me and my business. Transaction rates are great the actual software is high quality. Pricing is awesome and customer service is fantastic. Overall awesome service. Very smooth customer experience, easy to use for independent vendors. Great, simple interface that makes set-up straightforward. Also great for personal use with friends. I have used Square a number of different times for Point of Sale. Square has always done a good job and provided us with the needed accessories. I would always recommend Square to anyone needing POS processing. If you even have any questions their customer service is second to none. I have used Square a number of times for customers and have never had a problem. What you sign up for is exactly what you get. With all of the transactions we did we never had a single takeback or dispute. I will always use Square for point of sale transactions. I’m a fan from both a consumer and business user. I love that a one time email and card use is saved across the board. It’s time efficient and overall a quick processor! I use Square several times a year for certain events that I participate in. I was worried that it might be difficult to learn to use but it was so easy which made it really nice. it is also nice that there isn't a bunch of equipment to have to hook up. Square is so convenient and worked perfectly for my little business. Very user-friendly and easy to learn. I wish there wasn't a fee to use it but other than that I've really enjoyed it. The boutique I work at only uses the Square! It’s the most reliable. Don’t use the cheap knock off ones. You pay for what you get! I have used Square with their mobile card reader. I have found that Square is very easy to use and even works when I have a sketchy internet connection. i have never had any negative feedback from customers when it comes to the payments they have made. Fees are low considering the services they offer. I would recommend to anyone that needs to collect mobile payments or need processing for e-commerce. I use square at the current company I work for. It’s so simple to use! I love how easy it is to teach others how to use it and how fast it is! Square was super simple and easy to use and figure out. We use the software for my company and makes simple technology super easy for us. We have loved using square and was super affordable. I have a square for my families business and we absolutely love this product! We all love it because of how convenient and easy it is to use! We have the phone adaptor square, as this is a easy way to take it out with you where ever you go. This little phone square just connects to your phone so your customers, friends, family can easily swipe their card right then and there. It is also very easy to set up and read all of the information on your phone! I use Square for my business! It’s great! Easy to use and super convenient. Used this at my job over the summer and I think it is a great product. Super easy to use and easy for the customers to use and navigate. The square makes selling my items at craft fairs fast and easy. Square is awesome. I appreciate it when small business have Square readers. My receipts are emailed to me and everything is very fast. I also like their Square Cash app. It's not annoyingly social like Venmo. It's very straightforward to use and clean. I love the easy use of this devise. It is simple to add and easy way to be paid for a small business. We signed up for square early in our business thinking it would be a temporary solution however with the ease of function and the intuitive nature of using it we have decided to stick with it we keep having other businesses approaches to try to Loris away and nothing seems to compare for the value we receive a square. I love square for it’s ease of use. They have fantastic reports and I can sign up for whatever alerts I want to be delivered to my email. They aren’t the cheap east, but definitely user friendly. This system is great for that little business that is trying to get off the ground. Also used for fundraising sales and it is easy to use and worked great. We used our square acct in our concession stand at the high school football games. It’s super easy to use, the money deposits directly into our booster club account & there’s no hassle. It’s been nice to be able to offer this service for those who find themselves w/out cash but want to enjoy a cool beverage or snack, under the Friday Night Light. I’ve used Square for many of my events that I am involved with and it works perfectly. I have the square plug that you plug into your phone and it lets people pay by swiping their credit cards. It is perfect! I liked this product, but it's a little hard for someone who may not understand apps. Although, I do think it's easy once it's set up. Tracking is easy as well. Theres not much to say about square other than it works well with small businesses and it doesnt have much problems. Sometimes i have to swipe the card life 5 times but thats not a huge problem and its probably my fault. I use Square to take payments for our booster club. It is incredibly easy and brings in more business because many times they only have credit cards on them. We Love Square. We have used a few other companies before Square and Square is so much better. So much easier to understand and to use. No hidden fees. Very easy to set up and use. We travel to sell our work and use Square mainly on our I- Phones. It works very well! I only use it a few times a year at craft shows, but it is so simple and reliable - and always works! It gives me enormous peace of mind that I can rely on your product and increase sales. 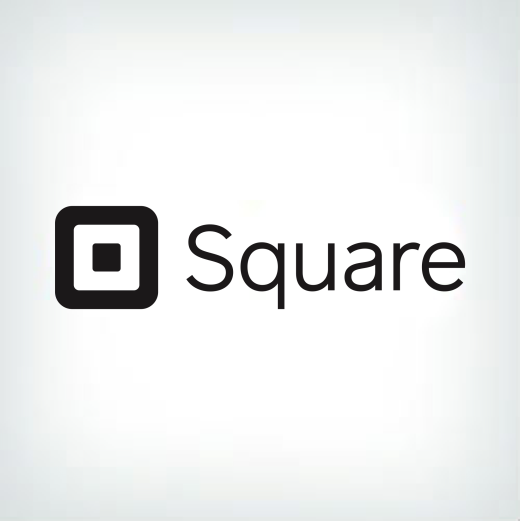 As a dance instructor, choreographer and book author I use square for the payment process. It is so convenient once the client information is entered. Automatically a receipt is sent and I have a record of transactions. I love it! I own a small, double-sided coffee drive-thru business. We offer gourmet coffee & espresso beverages, smoothies, teas, frappes & grab-n-go items. We love square! The layout is simple, easy to use. The benefit of marketing, loyalty and payroll/timecard usage has been a huge win for us and cost effective for our small business. Square payroll definitely beat out some of the major payroll providers which is why we switched. I started my business 3 years ago and have been using Square ever since. I’ve never had a processing problem... and I love the app. It's easy to use and my customers frequently comment on how sleek it looks and how fast the chip reader is. Fast easy convienient! Absolutely love everything about square!! We've been with square for quite some time now and they're doing a great job adding new products. It's not a perfect system but it's clear to see that they're working to make it better, little by little. Much less expensive than our last credit card processing system! I have used Square for 4 years & it has been a game changer for my business! I am an esthetician & a spa owner, so being able to take credit card payments is crucial. I'm so happy I don't have to turn clients away, have them run to an ATM or write me a check (yuck!) The fee per transaction is minimal when considering all the factors above! The card readers are great quality & my money is deposited quickly without any problems! My clients love it & so do I! We use square in our restaurant. The POS system is flexible and easy to update on the fly. It is pretty flexible and works well for our needs, for the most part. Square is a very innovative system for my business however they miss the mark with the square capital loans. I am in need of funding to expand my business and cant receive help no live person to talk to so what good is offering loans if you cant request them ? I have always had a positive experience with Square. Any time I need to troubleshoot there is someone who is happy and able to help.